No magnesium and no iron? The two vital vitamins to get rid of tiredness and fatigue and getting sleepy all the time. Otherwise it would be the perfect multivitamin . Also the lutein content could be higher. Great stuff, I take 2 a day with food and at 74 it keeps fuel in the tank, if you know what I mean!!! Doesn't smell great, as others have said, but its a pill that you swallow, so it's gone pretty quick. 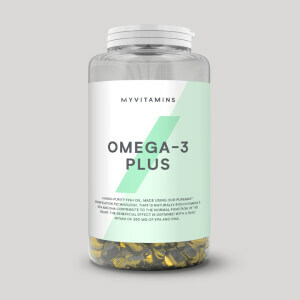 Has a great range of different vitamins and minerals and great value. I also take myproteins omega fish oil, and I am an incredible example of a human being. I don't leave many reviews but this vitamin supplement is great. I do weight training around 6 times per week, I train in martial arts 3 times per week and have a full time job so after feeling run down for a few weeks I decided to try Alpha Men. I feel more energetic, awake and better all round after taking this supplement for a couple of weeks. It's packed with lots of vitamins and convenient for those that don't have the time to get their required intakes from whole foods. My only gripe is that there isn't any Iron in it but other than that a great product and good value for money. 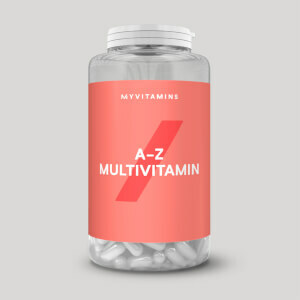 You'll be hard pressed to find another multi vitamin that contains as many ingredients at decent dosages for this price. 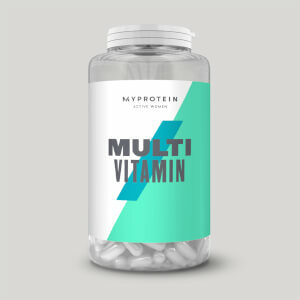 Myprotein do a great job at providing quality for a reasonable price, and this is no exception. I only take one a day and definitely think it helps to fill in any holes in my diet. I'm a cynic. 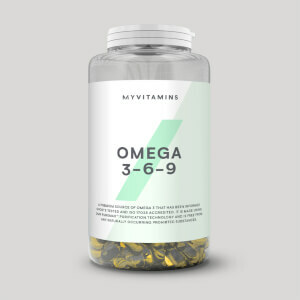 Most people trying to lose weight or live healthier are (at the start), so I was unsure as to how much these little vitamins would actually contribute to my "transformation". Boy was I in for a surprise. I'm reviewing the second batch I've ever bought, and as the title says it's hard to imagine a vitamin-less life now. I've got a kid that's still under 2 years old, but despite the odd sleeping hours, working like a dog, and gym on most days, I've never felt so awake. I do think that it's hard to "naturally" get all the vitams your body wants, and these really do the job of ticking all the boxes. Five stars for everything except taste. I'm not sure why, but I feel they taste sort of..."yeasty" for lack of better word. Washing them down with water is quick and painless though, and the effects stay with you throughout the day, so it's well worth the investment and slight aftertaste. It's useful to be able to take a single pill in the morning and fulfil a lot of my daily vitamin and mineral requirements. Although I eat healthily, my diet doesn't usually cover all the different vits and minerals. Haven't really noticed any physical changed like feeling more energised (I've only been taking them for about a week). But I've noticed my pee is bright yellow (possibly due to the B12 lol) and my appetite has SHOT THROUGH THE ROOF. Like before, I STRUGGLED to meet my daily caloric intake, but now I'm super hungry all the time (even after I eat). I guess it's helpful in getting gains. I used to take the giant Vitamin C and rose hips pill from Holland and Barrett before, along with Vitamin A and Fish oil soft gel tablets. It's nice that a smaller pill from MyProtein contains both of the above, as well as a plethora of other vitamin and minerals. I have been using Alpha Men for a year and a half. I usually take two in the morning with breakfast and two after the workout with my post workout shake. It's pretty effective. I had a couple of other brands multi vitamin but by far this is the best I have found in the market. Plus it does not have any iron which we get way too much from the diet and have a quite a number of ingredients other than essential vitamins and minerals to help with digestion, to fight inflammation and for heart health. An excellent product and gives you the best value for your money! Any type of drinks, meal, and Post workout shake.